Entertaining doesn’t have to be stressful. It should be fun and fuss-free. 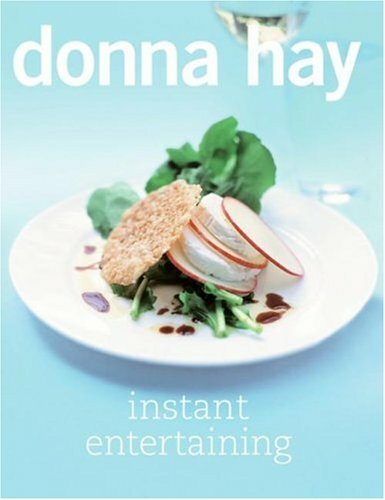 Which is why Donna Hay has put together this collection of simple menus for truly instant entertaining. So no matter what the occasion, entertaining has just become a whole lot easier. One of today’s most influential food writers tells you all you need to know about entertaining. Following the worldwide success of her last book, The Instant Cook, Donna Hay brings you fresh, easy-to-follow recipes and clever styling ideas for entertaining family and friends. From an impromptu weeknight dinner for two to a celebration for twelve, Instant Entertaining is everything you need to make your occasion an instant success. It is beautifully photographed in the style for which Donna has become known worldwide.